After completion of UMAT, and Year 12 exams, students have one final task to complete before entering undergraduate medicine: the medical admissions interview. The METC Institute provides high-school leavers with comprehensive interview preparation courses. 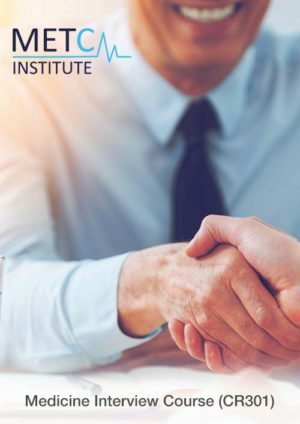 METC Institute interview courses provide students with knowledge of the theory and purpose behind admissions interviews, and criteria used for interview scoring. Interview preparation courses also allow students to practice interview techniques in a live trial environment while receiving detailed feedback, and to review an extensive library of previously used admissions scenarios and ideal answers. Browse the courses below for further information about interview preparation courses. 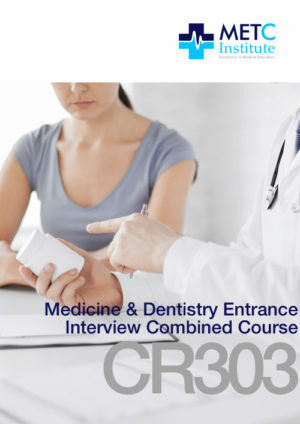 The Medicine & Dentistry Entrance Interview Live Course (CR301) provides candidates with the materials and the practice required to perform in the high-pressure Medical and Dental admissions interview. Prepared by medical specialists & senior lecturers from leading Australian university medical schools, the course allows students to practice execution of skills fundamental to success in the admissions interview. On completion of the course, candidates enter their admissions interview with the knowledge and confidence needed to strengthen their chances of acceptance into the Medical or Dental school of their choice. The Medicine Interview Online Course (CR302) provides candidates with the materials and the practice required to perform in the high-pressure Medical and Dental admissions interview. Prepared by medical specialists and senior lecturers from leading Australian university medical schools, the course allows students to learn, and remotely practice execution of skills fundamental to success in the admissions interview. On completion of the course, candidates enter their admissions interview with the knowledge and confidence needed to strengthen their chances of acceptance into the Medical or Dental school of their choice. The Medicine & Dentistry Entrance Interview Combined Course (CR303) provides candidates with the most complete interview preparation course available. 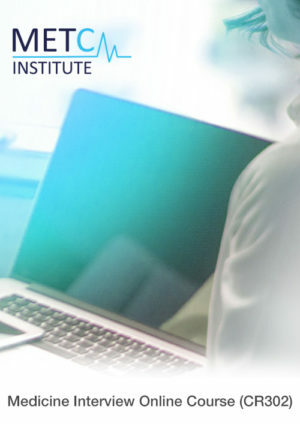 The course is prepared and conducted by medical specialists, senior lecturers and senior medical students from leading Australian university medical schools, and provides students with an opportunity for live practice of 20 interview stations with a further 100 online stations.On completion of the course, candidates are thoroughly prepared for any possible interview scenario that may be presented at their Medicine or Dentistry admissions interview. 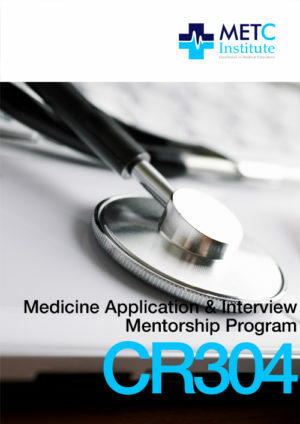 The Medicine Application & Interview Mentorship Program (CR304) is the ultimate medicine interview preparation service. The Program provides candidates with the unique competitive advantage of personal guidance in preparation of their portfolio, application, and most importantly their medical interviewing skills. Candidates enrolled in this course have access to an extensive suit of preparation materials, live practice, and personalised support. The Program is suitable for candidates who wish to leave nothing to chance in what is the final hurdle before entering medical school.